Quite a number of books by African writers are out of print. These books are simply forgotten and lost. So, I thought I would introduce a new feature that aims to draw attention to such books, some of which I’ve read and some that I want to find and read. I’m starting the series off with author who was unknown to me until my mother mentioned her in a conversation we were having about genre writing in Africa. Adaora Lily Ulasi, born in 1932, is among the first generation of Nigerian women writers. Her colleagues included the late Flora Nwapa (author of Efuru) and the playwright Zulu Sofola. I’m very familiar with Nwapa and Sofola and hence I can’t explain why I’d never read nor heard of Ulasi. I haven’t been able to find out much about Ulasi’s background. Biographical information on her available on the web is scanty at best. She was a journalist. There are reports that her daughter has written a book but I can’t confirm that either. What is clear is that she was (when she was in print) regarded as good writer. And it seems that she might well be the “first Nigerian to write crime fiction”. The rather scant Wikipedia page on her states that she adapted the crime thriller to a Nigerian context. Other sources on the web say that she incorporated a lot of Pidgin English in her writing. Some articles have labelled her books as “juju fiction”. Needless to say, my interest is piqued and I’m desperately trying to locate at least one of her books. It appears that Many Thing You No Understand and The Man from Sagamu are the better known among her oeuvre. If you are also interested in her books, I recommend that you check your local public library. To my Nigerian readers; are Ulasi’s books in print in Nigeria? Any suggestions on where I can get at least one of the books? I enjoyed Many Thing You No Understand of which I have two copies. I’d be happy to exchange a copy for one of Man from Sagamu. Anyone interested? I think I may actually have a copy of one of them, The man from Sagamu. I will double check. Hey Nina! Did you find that you had a copy of The Man from Sagamu, afterall? 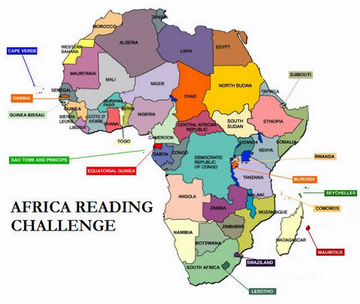 Gosh, your blog makes me realise how narrowly read I am when it comes to African fiction. I really must fix that. My library doesn’t have anything of hers, not that I’m particularly surprised. But I’ll enjoy following along with your new feature, and once I have a job, I’m sure I’ll be coming back for purchasing inspiration! Many Things You No Understand is available in the US at least, used, from Powells.com. I love this project of yours! This is a good initiative. i will edge you on and if I come by any, I’ll let you know, O.K? Woah, Adaora Ulasi wrote crime fiction in a Nigerian setting? I’d love to read her books then, I wonder where to begin the search for them. Earlier this year, I wanted a book that was out of print and through my mother told my aunt about it. I don’t know how my aunt did it but she managed to get the book reprinted for me. Can the same be done for Ulasi’s books? Ah I’ve been getting so frustrated at the African authors that I can’t find at all over here on this side of the ocean. I mean, I have enough to keep me busy reading for ages, but even those still in print there are difficult to find here sometimes. They say globalization is great but why is it that it only goes one way – they send North American fiction there but don’t take African literature to our shelves. BUT I did some searches for this author and Many Things You No Understand and Many Things Begin For Change are both available on one used book site, and The Man From Sagamu is available on another. If you are interested I could pick them up and (read them first and then) send them on to you, just let me know. Very good idea for a series of posts! It is so sad when books are forgotten or out of print..